Anurag Kashyap's Raman Raghav 2.0, starring Nawazuddin Siddiqui, Vicky Kaushal and Shobhita Dhulipala, is in theatres today. Will the film be able to win the hearts of the audience? Here's our review. "Maara is liye kyu ki maarna tha. Ek dum naturally." That one line defines Raman Raghav 2.0's Ramanna, and gives a peek into the mind of a serial killer. The first question that comes to our mind when we the normal people talk of a serial killer's act is: Why would someone do something like this? For the 'nisachar lomri' (nocturnal fox) Ramanna, killing comes as easily to him as 'breathing or taking a dump'. So when such a man is seen walking about, talking to people, behaving exactly like any average human would do, how do 'normal' people deal with him? ALSO READ: Who was Raman Raghav? Confronted with this grim reality, Anurag Kashyap's audience begins watching Raman Raghav 2.0. In a chalk-on-blackboard font, Kashyap introduces viewers to the original Raman Raghav. This man was a serial killer who unleashed fear on the streets of the Sixties' Bombay. "This film," says the scroll, "is NOT about him." A few minutes into the film, we realise that Raman Raghav 2.0 is indeed not about the killer. The film is broken into chapters. The prologue is from October 2013. Raghav (Vicky Kaushal) and Smrutika (Shobhita Dhulipala) strike up a conversation in a pub. On their way out from the pub, Raghav stops at his drug dealer's house to pick up ammo for the night and finds that the latter has his head smashed in. We see Ramanna speaking to the police, saying that he has committed a murder. As he goes on to explain why, police realise that they are being taken for a ride. He is locked in a building in the middle of nowhere after a brief interrogation. The story then moves to 2015, with chapters The Locked Man, The Sister, The Policeman, The Hunter, The Hunted, The Son, The Fallen... and finally, Soulmates. Over the 2 hours and 25 minutes of Raman Raghav 2.0, there is one emotion running through everyone watching the film: fear. Your intestines are in a knot. The moment you let out a breath, Ramanna strikes with his crowbar. You laugh nervously at Ramanna's jokes, and the next moment, he strikes again. The film is more alive in these moments of apprehension than anything else. Within the span of Raman Raghav 2.0, Anurag Kashyap makes full use of his craft. Kashyap and Vasan Bala's story finds an able companion in Jay Oza's cinematography. When someone walks into a murder scene with a handkerchief on his nose, you automatically hold your breath. Mumbai is real in the buzzing of the flies or the bustle of the slums. Raman Raghav 2.0 has as its most competent component the acting by its leads. Nawazuddin Siddiqui is a man on a mission. A scar running down his forehead to the nose, glowing eyes; Siddiqui's performance is worthy of a standing ovation. Spectacular. Vicky Kaushal delivers his best yet. After a brilliant debut in Masaan, Kaushal is in top form here too. The intensity of the two male leads is devastatingly good. Shobhita Dhulipala's character is the only weak link. In the cat-and-mouse game between Ramanna and Raghav, Smrutika seems to have fallen through the cracks. When Raghav refers to her as his 'jaannewaali' (an acquaintance) to his mother, we see Smrutika's pain and hurt in one of the many poignant sequences in the film. Dhulipala is brilliant in her role, but she doesn't have much to do. The music of Raman Raghav 2.0 deserves a separate column. Kashyap has used Ram Sampath's work well. When you have Ramanna plotting someone's murder, you have a sitar sequence as the background score as opposed to the more 'traditional' screams-and-shouts. 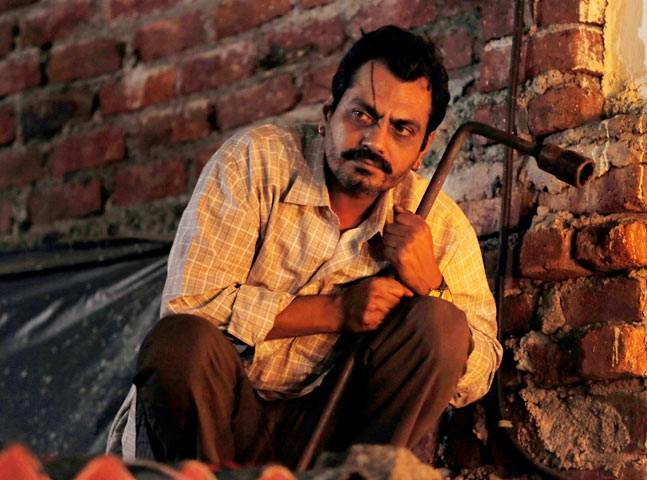 Raman Raghav 2.0 is another triumph for Anurag Kashyap. It sure is not a Gangs of Wasseypur, but the filmmaker knows what to do with his viewers. Shocking people, disturbing them, stirring them come naturally to this man as killing comes to Ramanna. Watch the film. 'Sa-prem'! Tiger Guilty Hai: Is 5-year jail excessive punishment for Salman Khan? Jail ki roti for Salman Khan tonight, bail or jail tomorrow?